One of the delights of Free music is the recurring recognition of the absolute skill employed by the musicians at play. It is audible and often astounds its audience that the performers can even imagine such musical ideas or even dare to present them without first a rehearsal to at least formulate a structure. Such musicians are of course entirely ripe in terms of their experience and technical know-how: this it is that allows them to realise full control of their chosen instruments and to interpret the perceptions of their fellow artists. 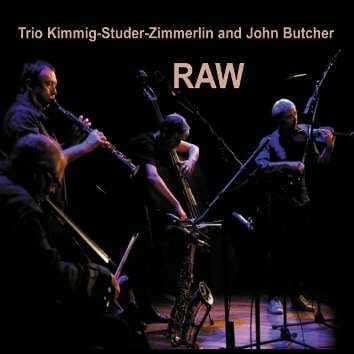 ‘Raw’ is played with such skills and with considerable vitality, yet with subtlety, its spontaneity never overshadowed by any lack of interaction between the four instrumentalists and the saxophone and the string trio complement each other flawlessly. This is a fine album: its music is graceful and polished.